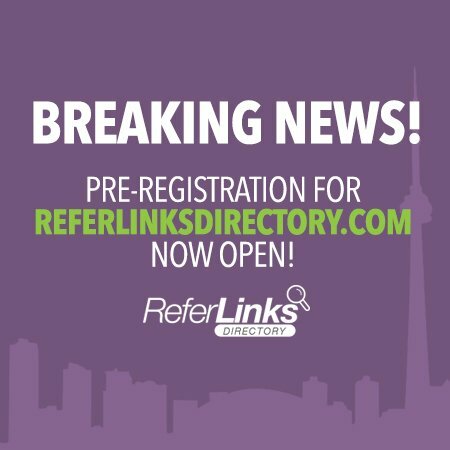 Breaking News: Pre-registration For ReferLinksDirectory.com Now Open! One of the most effective ways to increase business is to increase awareness. Thanks to the emergence of ReferLinksDirectory.com, you can do that with relative ease! This streamlined, easy-to-use automotive directory can help you be discovered by potential customers in your area. With ReferLinksDirectory.com, online viewers can read about the benefits of doing business with your company. When you procure our services, we work with you to keep potential customers informed about your business. Our experts work tirelessly to create a strong online presence for many businesses- after all, we want potential customers in your area to learn more about your company. We develop attractive, fully functional web pages for each business owner on ReferLinksDirectory.com with a website URL. Each website on ReferLinksDirectory.com also includes a detailed description about the business and the respected entrepreneurial minds that started it, along with an engaging photo gallery that shows online viewers the benefits of your services, customer reviews, and the address and contact information of your business. In other words, you receive more than you would from other leading directories. ReferLinks Full Circle Marketing is a highly regarded marketing consulting firm in the Greater Toronto Area. For 15 years, this online marketing firm has put a paramount importance on keeping their clients continually satisfied, providing each of them with expert advice to help them increase their overall awareness, and exceptional customer service. By crafting compelling content, we help business owners effectively garner attention from potential customers. Referlinks has established itself as a respected, reputable company with a great track record of helping companies grow. We decided to launch ReferLinksDirectory.com so that we can do even more for our clients! With a listing in our automotive directory, you can increase the likelihood of an online audience discovering your business. With a free listing in our Canada-wide directory, potential customers in your area would be able to easily find your business on search engines. Let us do what we do best- we carry the load and make it easy for business owners! Increase the awareness of your automotive company, and reserve your free listing on ReferLinksDirectory.com! This entry was posted in Directory and tagged Directory,Marketing,Online Directory,Online Marketing,ReferLinks,ReferLinks Full Circle Marketing,ReferLinksDirectory,ReferLinksFCM,Small Business Marketing,Souther Ontario Marketing,Southern Ontario Online Marketing on June 10, 2014 by ReferLinks Online Marketing.